This is the first book I've read by this author and I wasn't disappointed. 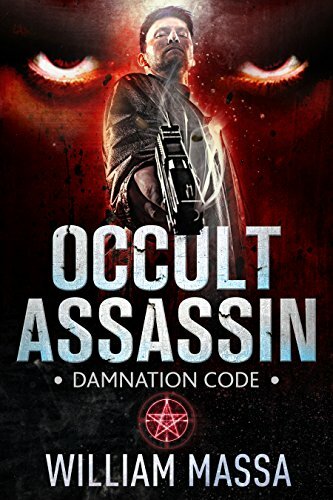 Action-packed from beginning to end, making it a great little read. I highly recommend. Driven by vengeance, one man declares war against the forces of darkness. After a decade spent fighting the enemy abroad and keeping his country safe, Delta Force Operator Mark Talon is ready to put his military career behind him and settle down with the love of his life in San Francisco. But Talon's world crumbles when his fiancée becomes the victim of a murderous cult. The military man now has a new foe in his crosshairs, and this promises to be a very different war. The person responsible for his beloved's death is a Silicon Valley tycoon allied with the forces of darkness. Fusing cutting-edge computer technology with an ancient evil, the enemy here cannot be stopped by bullets alone. If Talon is to be victorious in his mission of vengeance, he will need to master a new method of warfare -- the arcane arts! He must become... the Occult Assassin.